Education on demand is becoming easier thanks to advances in technology, but that doesn’t mean implementing a new learning model is simple. If you had asked Julie Dervin if digital microlearning would be useful for employee skill development a few years ago, she would not have been very optimistic. Flash forward to today and Dervin has a new outlook on the practicality and relevance of microlearning for just about everything. About a year ago, Cargill, an international provider of food, agriculture, financial and industrial products and services, developed a digital-learning strategy that was meant to modernize the learning experience. Microlearning is the act of slicing and dicing large chunks of learning into manageable, bite-sized pieces and making it easily accessible to employees. The fact is, most people already do it every day—without realizing it. For example, watching a five-minute TED Talk about leadership best practices on a smartphone is a form of microlearning, as is figuring out how to set up macro keyboard shortcuts from an article on Microsoft’s website or a YouTube video. Why not harness this education momentum and implement microlearning on a broader scale within an organization? 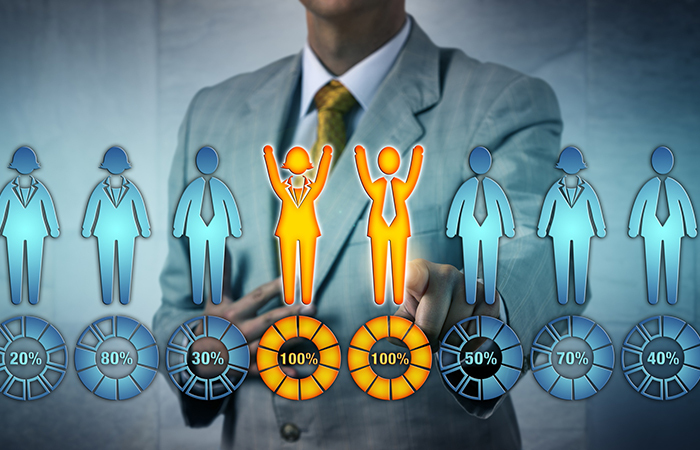 Some companies are and, based on HCM research, they are doing themselves a favor by remaining competitive in their respective industries and growing employee engagement. According to Michael Griffiths, lead for North American learning practice at Deloitte Consulting, microlearning has been around in some capacity for a number of years, but one of the reasons it’s so popular now is because of its workflow applicability. “In the last five years, we’ve realized that microlearning’s point of need is in the workflow, not a destination to go,” he says. This means formal on-the-job education, such as hours-long training or 30-minute desktop modules, isn’t practical for much of the learning an employee desires. Another reason microlearning is hot right now is because of advances in technology, adds Jason Corsello, senior vice president of strategy and corporate development at Cornerstone OnDemand, a cloud-based learning and talent-management-solutions provider. According to research from Deloitte, to succeed in a dynamic world, companies need to focus on becoming learning organizations. Doing so allows for competitiveness in a tight job market and improves the employee experience, making recruitment and retention easier. Deloitte has mapped out the evolution of how companies become high-impact learning organizations, which is broken down into four stages: episodic/programmatic, responsive/contextualized, continuous/empowering and anticipatory/flow. Microlearning may be the answer to helping companies remain competitive in an ever-changing world while becoming high-impact learning organizations. However, as more companies begin to roll out digital microlearning programs, they realize it’s not as easy as deploy and go. Research from Deloitte has revealed how much corporate learning has changed in the span of a decade: The company predicts that, by 2020, the most impactful learning will be intelligent, personal and machine-driven. Investing in learning that meets this definition is crucial, which Cameron Lewis, director of global talent at Xilinx, a supplier of programmable logic devices, knew even after being out of the L&D sphere for more than a decade. Lewis says he realized how dramatically the learning world changed in 10 years and wanted to ensure that Xilinx kept pace with the dynamic world of corporate learning. He adds that Degreed has partnerships with more than 1,400 content providers and has pre-populated numerous learning pathways designed by in-house learning developers. These learning pathways are collections of content that can be used for sharing knowledge on a topic, such as thought leadership, including lessons on change management, problem solving and goal setting. All of this met and exceeded the learning strategy Xilinx sought to roll out. “We decided to turn the paradigm upside down, move away from traditional learning and go for empowered learning, which is learner-driven and manager-guided,” he says. Degreed is optional, but Xilinx’s goal is to have everyone become experts in a skill of their choosing. They’re asked to create an individual profile and select topics that are of interest, which can range from gardening to learning to code with Python to improving public-speaking skills. From there, Degreed’s platform offers up individual pieces of learning, such as a YouTube video on speaking confidently or a pathway that includes multiple sources of education, such as TED Talks, articles from the Harvard Business Review and more. Even though the company ultimately adopted and deployed Degreed, getting to that point wasn’t an easy process, says Lewis. The summer before Xilinx went live with Degreed, Lewis and his team sent out cascading communications and conducted thorough pilot programs. They started with the executives, then moved to the business unit managers and eventually the rest of the employees. The company sent out monthly emails, allocated “office hours” for employees to ask questions about the new program, held lunch-and-learn sessions at least once a quarter and selected a learning pathway of the month, which it advertised digitally across the company. All of those efforts led to a fantastic engagement score, says Lewis, as 88 percent of Xilinx’s approximately 4,000 employees have logged on and used Degreed in some capacity. Among the lessons he learned on this empowered-learning journey was the sheer level of commitment needed across an entire organization to make such an effort successful. Xilinx’s new CEO, Victor Peng, has stated on many occasions that he’s a life-long learner. He fully supports empowered learning, which helps invigorate and engage employees, adds Lewis. Another detour on the microlearning journey is figuring out where learning professionals fit in this new mode of learning. Grovo, another pioneer in the microlearning world, offers clients a massive learning library that hosts thousands of video lessons on hundreds of topics, from soft skills to digital literacy. Beyond this, the company meets with clients to help them determine an appropriate learning strategy, how to assign content and the best way to contextualize it for their organization, says Summer Salmonson, chief learning officer at Grovo. Salmonson adds that microlearning —which Grovo trademarked last year—needs to always align with the L&D strategy and overall organizational goals. To successfully implement microlearning, the L&D team should continuously assess for skill and talent gaps, ensure that a singular behavior or skill is targeted and provide workflows in the employee’s environment. Jonathan Munk, product general manager at Degreed, agrees that a key to microlearning is utilizing the L&D team to identify what skills are lacking. Saba’s Bowness says she’s advised L&D professionals to pivot away from traditional content creation to embrace ways to curate experiences and content. Meyer says that the final decision on platform came down to the needs of the organization and functionality. Not only does the chosen platform enable microlearning, but it also provides insight into the level of skill within the organization. Deloitte’s Griffiths agrees that choices can be overwhelming—with so many options for different platforms, free content-service providers and internal content, not to mention the compliance issues that may arise when curating external content. “The advice we give to clients is to identify your critical workforce and ask them how they want to learn,” he says. Xilinx’s Lewis adds that, though some organizations are drawn to the latest and greatest vendor or platform, IT companies, in particular, are cautious about trying something new. Cargill’s Dervin didn’t realize how vast the world of microlearning was and found herself deep in the content creation-curation conundrum. Utilizing a platform with advanced machine learning and AI capabilities is one way to navigate the world of content. David Mennie, vice president of marketing and strategy at Saba, notes that, even if a company has created more than 1,500 courses over the years, it doesn’t have to lose that content when preparing for microlearning; the client can tell Saba’s platform its definition of microlearning, he says, and the system will identify everything in the client’s LMS repository that meets those definitions. Another interesting challenge cropped up at Cargill as the company began reviewing content, both internally and externally. Though challenging, these issues led Dervin and her team to forge strong partnerships with other parts of Cargill, especially IT, which helped the team determine if its internal content would be accessible to employees off-site, outside of the network and firewall. Such accessibility issues would render the entire concept of on-demand learning useless, she says. They also realized that, just because Cargill produced content, it didn’t have to be locked behind a firewall. “We asked, ‘If someone else has access to this microlearning content we developed, is it really a competitive differentiator for them?’ ” says Dervin. Dervin says she and her team are working to determine their content-management strategy around what they’ll provide to employees and what they should be able to find using a search engine. At Marsh & McLennan, Meyer discovered employees had a desire for relevant, skills-based, on-demand learning and the flexibility to learn when and where it makes sense to them, in the mode with which they’re most comfortable. Whether leaders want to accept it or not, employees are already microlearning in some capacity at work and at home, Meyer says. As a result, Cargill’s Dervin says, employees want a consumer-grade experience at work. “When we talk about talent management, we need to recognize that employees are becoming more discerning,” she says. “They look at things like, what’s the rhythm of work in the company and what experience does the company provide to help employees be successful and fulfilled in their work and careers?” These days, she says, no one wants to leave work for three or four days to sit in a classroom. He adds that a Deloitte infographic—which included the stat that people check their phones an average of nine times per hour—resonated with him as he made the decision to implement microlearning. Deloitte’s Griffiths says shortening attention spans have become a real problem—and microlearning is addressing the attention-deficit crisis by breaking down skill development and learning into short bursts of information. To further combat attention struggles, Griffiths says, companies can individualize the microlearning process. He suggests offering employees one source of content (instead of multiple) on one platform that is optional. “The best platforms are personalized and built for people to share and drive their own learning rather than being told or pushed into a learning event,” he says. Saba’s Mennie adds that, at any given time, 30 percent or more of the workforce is out of the office—so those crafting microlearning programs should think about how temps, contractors and freelancers can consume content in an untethered environment. Send questions or comments about this story to [email protected]. Does it Pay to Just Be Nice? One of the best ways to increase worker productivity may be easier than you think.